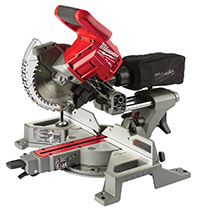 Milwaukee Tool has introduced its M18™ FUEL™ 7 1/4-inch Dual Bevel Sliding Miter Saw. Weighing 28 pounds and featuring integrated side and top carry handles, the saw reportedly enables easy transportation around a job site. The saw is cordless, eliminating the need to work near power outlets, and can bevel 48 degrees to the left and right, enabling users to quickly make angled cuts. Additional features include an adjustable stainless-steel detent plate with 11 detent stops and a detent override, and a Shadow Cut Line Indicator for improved cutting accuracy. Designed to deliver 5,000 revolutions per minute, the M18 FUEL 7 1/4-inch Dual Bevel Sliding Miter Saw can complete more than 600 cuts in a 3 1/4-inch base board and up to 300 cuts in a 2- by 4-inch board after one charge when equipped with Milwaukee Tool's M18 REDLITHIUM™ XC 5.0 Battery Pack. Kemper System America Inc. has added the Roof Guardian® RG-170 and Roof Guardian RG-180 roof coating systems to its Roof Guardian Technologies product line. 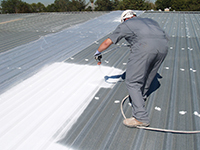 Roof Guardian RG-170 is an elastomer-based roof coating system that is Class A fire-rated and has a Solar Reflectance Index (SRI) rating of 109. Roof Guardian RG-180 is a fiber-reinforced elastomeric roof coating with an SRI of 108 and reportedly ideal for prolonging the service lives of metal, concrete, single-ply, polymer-modified bitumen, granular cap sheets and other approved roof surfaces. Designed to resist cracking and peeling, the highly reflective Roof Guardian roof coating systems are said to be moisture- and mildew-resistant. Formulated using an acrylic polymer base for enhanced adhesion and durability, the roof coating systems can be applied using a commercial-grade sprayer or roller and are ENERGY STAR®- and Cool Roof Rating Council-rated.